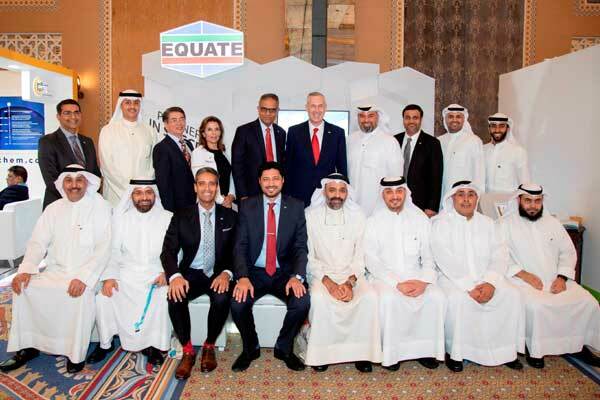 Equate Group, a global producer of petrochemicals, recently sponsored the 13th annual Gulf Petrochemicals & Chemicals Association (GPCA) Forum, in support of the pioneering role of the Gulf’s industrial sector. The forum was held in Dubai, UAE, and lasted for three days. A large number of industrial leaders and professionals from across the globe attended the event. The forum focused on various elements highlighting the transformation of the global petrochemical industry. With the industry’s vital role in energy supply and increasing energy demands, the petrochemical industry is becoming one of the fastest-growing industries in the world. The industry’s success has provided the GCC nations with great economic contributions. Equate Group’s vision surely reflects high ambitions to be achieved. “We firmly believe that sustainability is a key component for growth through creating added value by focusing on the environment, economy and society,” he added. “As the first Middle East-headquartered enterprise to benefit from US-based shale gas sources, our ethylene glycol (EG) plant on the US Gulf Coast is scheduled to begin production during the fourth quarter of 2019 with a total capacity of 750,000 tonnes annually,” he added. It’s worth highlighting that Equate took its participation plan even further this time by sponsoring a professor along with a number of students from the College of Engineering & Petroleum at Kuwait University to have the opportunity to attend the forum and add to their experiences through interacting with other delegates. The initiative is part of a memorandum of understanding (MoU) which was signed along with the university aimed at partnership and collaboration in industrial and academic fields.